Why Take Statins at Night? 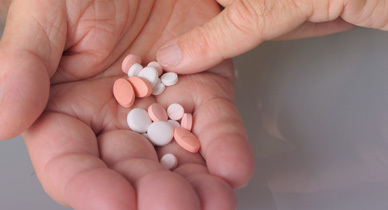 Statins are prescription medications that are taken to lower the levels of cholesterol. They are designed to target low-density lipoprotein or LDL. Excess level of LDL can build up to the arterial walls and clog the arteries, increasing the risk of coronary artery disease. Statins benefit you in two ways – they inhibit the production of the enzyme required to produce cholesterol as well as reducing plaque in the arteries. There are various statins today; some of them work best when taken at night. Why? Short acting statins should be taken at night because the liver produces high levels of cholesterol at midnight. If they are taken early in the day, the effectiveness will be reduced. On the other hand, long acting statins can be taken at any time of the day; however, they should be taken at the same time every day. Consult your care provider for the proper statins. Now you have known why take statins at night, here are more guidelines to help you take statins properly for the best effects. According to a recent guideline, the following four types of people may need to take statins. People with cardiovascular diseases – this includes individuals who have had heart attack or stroke caused by a blocked blood vessel, transient ischemic attacks, prior surgery to replace the arteries, or peripheral artery disease. People with elevated LDL – this includes an adult population with low-density lipoprotein level of 190 mg/dL (4.9 mmol/L) or higher. Diabetics – this group incorporates adult people who have diabetes and LDL ranging 70 to 189 mg/dL, especially if there is evidence of vascular disease. People with a ten-year risk of heart attack – this includes people with LDL higher than 100 mg/dL whose ten-year risk of heart attack is 7.5% or higher. Wonder why take statins at night? You have known the answer. Then what about the dose? Consult your care provider for the right dose. He or she will administer the right dosage depending on your personal conditions. For every double dosage, statins should reduce serum low-density lipoproteins by 7 percent. Statins are often taken indefinitely; they are long-term maintenance drugs. If you miss a dose of the medication, be sure to consult your doctor about what to do instead of doubling the dose the next day. Statins should only be taken after prescription from the doctor. You should inform the doctor if you are taking any other medications. The dosage and nature of these medications may affect the overall functionality of the statins. You should tell your doctor if you are taking antifungals, cyclosporine, digitalis, niacin, steroids, and calcium-channel blockers and some antibiotics. Inform your doctor of pre-existing medical conditions or the current conditions that you may have. This presents the doctor with adequate information to make a judgment on the right medications and the dosage to administer. Tell the doctor if you have tendencies of seizures or low blood pressure or an upcoming surgery. Other conditions that should be notified include liver disease, kidney disease, electrolyte imbalances, organ transplants, infection, alcoholism, etc. A change in lifestyle is very important in reducing the risks of heart attack. This is very important whether you are using statins or not. Avoid second-hand smoke and quit smoking. Eat fewer saturated fats, and more whole grains, fruits, vegetables and fish. Maintain a healthy waist girth. The recommended waist girth is no more than 35 inches for women and no more than 40 inches for men. How Will Weed Use Affect the Body? Are Vape Pens Bad for You? Can You Drink Alcohol with Doxycycline? CopyRight © WWW.JUST-HEALTH.NET. Last Updated 21 April, 2019.